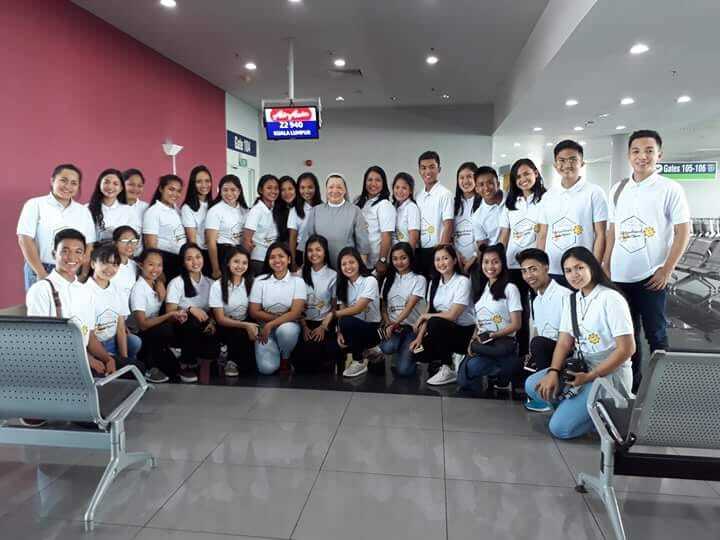 Thirty (30) Grade 12 students of SPUP-Basic Education Unit enplaned to Kuala Lumpur, Malaysia for a pioneering international academic and work immersion on March 9-20, 2018. 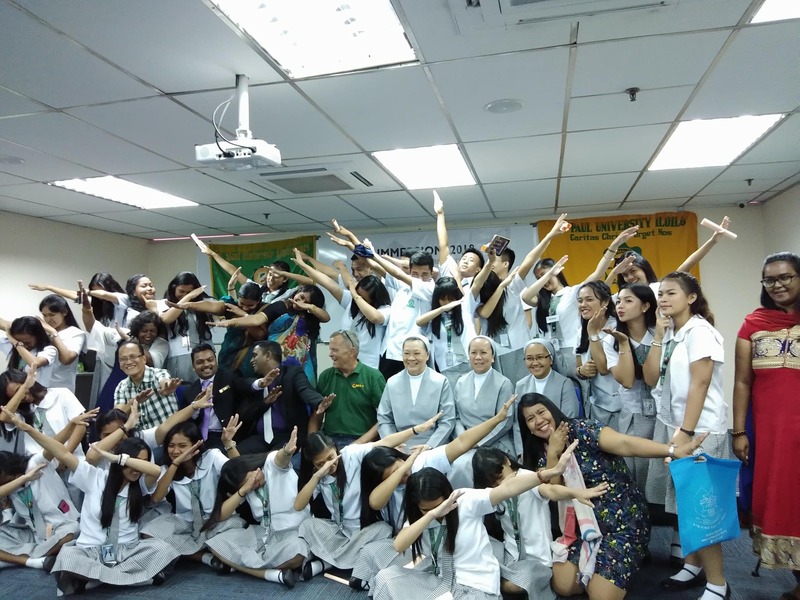 Together with Sr. Carmelita S. Villanueva, SPC (Principal, BEU) and Mrs. Myra I. Balubal (Adviser), the students were: Romae Angelie G. Tumaneng; Annabelle L. Agliam; Keith Anthony T. Ibus; Alyssa Marie N. Bautista; John Mark C. Lacambra; Nicole Marie M. Marcelino; John Dave D. Garcia; Jayvee F. Apostol; and, Hannah Iluminada C. Bañez (HumSS); Jolina Maia B. Taguinod; Fitz Christian G. Cauilan; Rosemarie Anuella S. Taguinod; Queenie Jane M. Cabigas; Elen Kiana T. Morados; Jamaica A. Martin; Gianamarie C. Baligod; Mark Francis M. Maribbay; Rhea Marie M. Delos Santos; Paul Angelo F. Melegrito; Ma. Melizzae C. Mateo; Ma. Adela Issa M. Esmundo; Mozelle P. Villaflor; Maria Georgia P. Turingan; Krisha May A. Cabigas; and, Marian Angeli F. Ibarra (STEM); Camille Patrice L. Orpilla; Fatima B. Ferrer; Kimberly Camille M. Tallud; Atheana Therese Fatima D. Batan; and, Anadee Precious V. Tumacder (ABM). Hosted by SYUEN College and Institut Karisma, in cooperation with BEST Corporation, the program fostered a rich and culturally-diverse experience to SPUP-SHS students. The immersion broadened their perspective and exposed them to global education and work opportunities. The program also tested their skills, knowledge, attitude as well as their career abilities to work successfully in multi-cultural environment. Furthermore, the immersion program rendered them various working settings and business conditions related to their academic tracks. This was through the participants’ exposure to service delivery, customer delight and inter-active cultural experience. Learning was extracted through student observation and participation, reflective journal, faculty- guided feedback sessions and emotional recall. A guided city tour served as a breather to the academic engagement activities. The students visited several attractions in the city such as the Petronas Tower, City Skyline, KL Tower, Batu Cave, Central Market, Petaling Street, Sunway Lagoon, Harriston Chocolate Museum, Istana Negara (Former King’s Palace) and many more. The immersion culminated with simple graduation ceremony where students shared their insights about the program and their future career track. This was followed by cultural presentations - showcasing the Malay and Filipino culture and traditions.